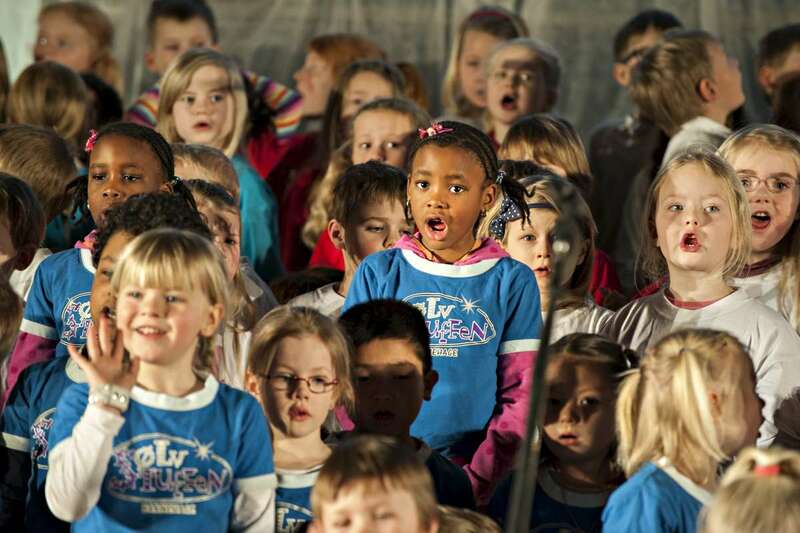 On December 21 FORUM 21 · CHILDREN & MUSIC invites schools from the US, UK, Norway, Finland and Sweden. We want teachers and music teachers from Swedish schools, school leaders, politicians, parents and media to meet live music making from classrooms in schools from other countries as well as Swedish schools. STUDENTS, MUSIC TEACHERS, CLASSROOM TEACHERS, SCHOOL LEADERS AND PARENTS WILL TELL ABOUT HOW MUSIC IN THE CLASSROOM WORKS. Every guest school is asked to bring 1-4 students, a music teacher, a classroom teacher, a representative from the school administration and one or two parents. Each school will have 50 minutes to demonstrate how a music lesson can be organized and to tell about how music making fits into the school curriculum. They will talk about how the working conditions in the school is affected by music and about what happens with study results and personal growth within the students. Parents will tell about what they see happen to their children when making music. People from the administration will talk about economy, planning the daily school curriculum and cooperation between music teachers and classroom teachers. The students will talk about how they percieve having music in their schools. FORUM 21 · CHILDREN & MUSIC offer every school participating on December 21, the opportunity to make a video documentary (8 –10 minuter) to add to the presentation on the stage of the Concert Hall. Four students playing string instruments, one music teacher, one classroom teacher from one elementary school, one parent and one person from the administration of the Music Program in the Ann Arbor Public Schools will attend on stage in Stockholm. They will tell about a school where every student in fifth grade – in every school in the city – receives one year mandatory instrumental playing as part of the school curriculum. During that first year the school will lend an instrument to every student – for free. From sixth grade up through Junior High and High School, students can rent or buy their own instrument. They will receive free music lessons within the school curriculum, within the school building and with music teachers employed by the school. The students are offered opportunities to play in one of several wind ensembles, in string orchestras or in a Symphony Orchestra. Every Junior High School and High School in Ann Arbor has 3-5 wind orchestras, one string orchestra and at least one full Symphony Orchestra. With a desire to create an optimal learning environment The East Helsinki Music School (established in 1965) launched a collaboration with Roihuvuori Elementary School and started a new type of primary school that was established in 1999. The school includes regular subjects and music education as part of the curriculum for every student. The philosophy is that music is considered as an important subject and raised onto the same level as the other school subjects. Music making motivates and enhances a deeper understanding and more thorough learning of all the other subjects in the school curriculum. Music making also creates a warm and vivid social environment, in which children feel secure and happy. The ”IHMU” may take students from the whole Helsinki city area. Students are admitted after aptitude tests that emphasize motivation and physical prerequisites for a certain instrument. Instrumental proficiency is not a requirement, nor will it influence the selection of applicants. The students in grade 1-6 receive three instrumental group lessons a week, students in grade 7-9 receive two group lessons plus two ”normal” school music lessons per week (including choir. solfege and theory during the schoolday). Individual instrumental lessons, orchestra and chamber music studies take place in the afternoon after the school hours. The aim with the curriculum is to give students the educational possibilities to become versatile, well balanced and well educated citizens. The emphasized daily involvement in music is believed to help children develop intellectually, physically, emotionally and socially. is a community school situated in Watford, just outside London. The school believes firmly that all pupils are entitled to a full and rounded curriculum, of the highest possible quality. All staff are continually striving to improve the quality of teaching and learning. The creative arts form a central part of this aim. Since 2013, the school has been working closely with The Voices Foundation to develop the skills of all classroom teachers to be able to teach high-quality music lessons to their own classes. This enables every pupil in the school to participate in weekly music lessons, predominantly focusing on singing, but also incorporating instrumental work. Further to this, the school (in partnership with Hertfordshire Music Service) provides the opportunity for all pupils to learn ukulele at age 7, djembe at age 8, and the recorder at age 9. There are also weekly singing assemblies for all children. Some pupils choose to learn the violin, trumpet, trombone, guitar or keyboard through small group or individual private lessons. There is a small choir that is regularly invited to perform locally. Every child in the school has the opportunity to perform each year in a ‘show’ incorporating acting, dancing and singing, and the school now has an established annual Creative Arts Showcase in February that celebrates the breadth of the creative arts provision in the school. The Cultural school in Kongsberg is a young Cultural school. 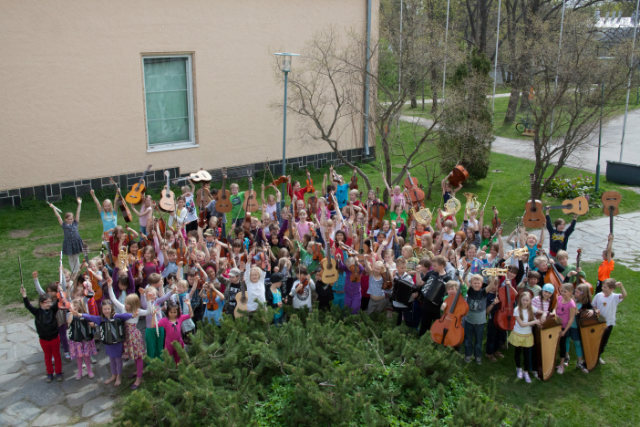 Plans to start a music school started in the late seventies when many norwegian communities established music schools. 1993 became the starting year for the Kongsberg Cultural school and it was one of the first Cultural schools in Norway that took to broaden the cultural activites to include not just music but also art and movement/dance. The first few years were spent using regular school facilities as teaching centers, today the impressive Bergseminar in the city center is the base for the Cultural School. Today the Kongsberg Cultural School works systematically with all the elementary schools in Kongsberg. Extra focus is put into working with groups that have a more extraordinary way into the Cultural School f ex refugees and immigrants. Of special interest is working closely with teams in the Elementary School involving children that fall out of the ordinary school system and after school activities. The Cultural school is also involving all children between 5-6 years of age in a choir project called the Singing Treasure Chest. The Cultural School is also the artistic competence centre in the community for all musical and teaching environment, voluntary groups, Societies and private institutions. The students of the Cultural School participate yearly in a variety of concerts, performances and exhibitions. They are a founding pillar in the cultural life of the community.